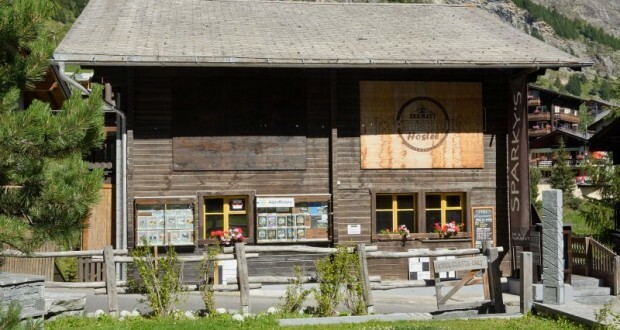 The Matterhorn Hostel provides the perfect accommodation in winter and summer for low budget travelers. We are well located in Zermatt which is not only a picturesque village but also one of the top-ranked ski resorts in Europe. The great location gives our guests great access to the mountains. The ski slopes, hiking and biking trails are only a hundred meters away. Our rooms are clean, cozy and comfortable. Toilets and showers are shared. We also have a bar and a restaurant (closed in off season; see Sparky’s Bar for opening times) as well as Wi-Fi and free Guest Computer. You will find a pleasant and warm atmosphere in our rustic timber house (built in the 1960s). Our friendly and helpful staff will try and make your stay as comfortable as possible. There is no curfew so you can explore the resort at your own pace.